As of today we're a week away from Christmas. Normally, I'd be much more excited. However, in the passed few years, I've noticed that Christmastime feels less and like Christmastime. Maybe it's because I'm away from home? Maybe it's because I'm getting older and the *magic* of Christmas morning is wearing off? Maybe I'm just jaded. But I'm feeling it today because it snowed (finally). Anyway, don't mind my rambling. Here's the point: 7 days until the big day and 3 brews yet to discuss. What this means is that I'd better get on with drinking/writing. 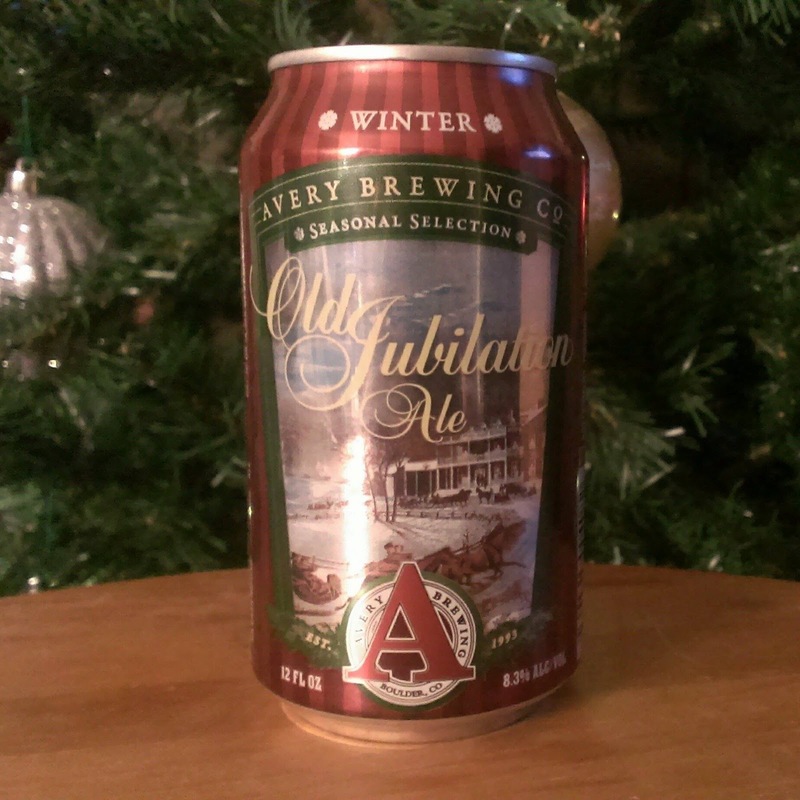 Tonight's brew is Old Jubilation Ale from Avery Brewing Company. Avery Brewing is based out of Boulder, Colorado. 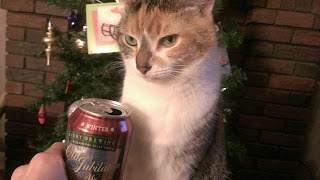 I'm guessing that, as of right now, they don't have much market penetration in Ohio--I'd never heard of them before I went to my local beer supplier to build my Christmas six-pack. Regardless, having incorporated in 1993, they're one of the youngest breweries I've discussed lately. The company was born out of Adam Avery's love of homebrewing. According to the brewery's "Brewery" page, business really took off in 2004 when they started releasing barrel-aged versions of their brews and introduced an Imperial IPA that's rated as one of the world's best beers. 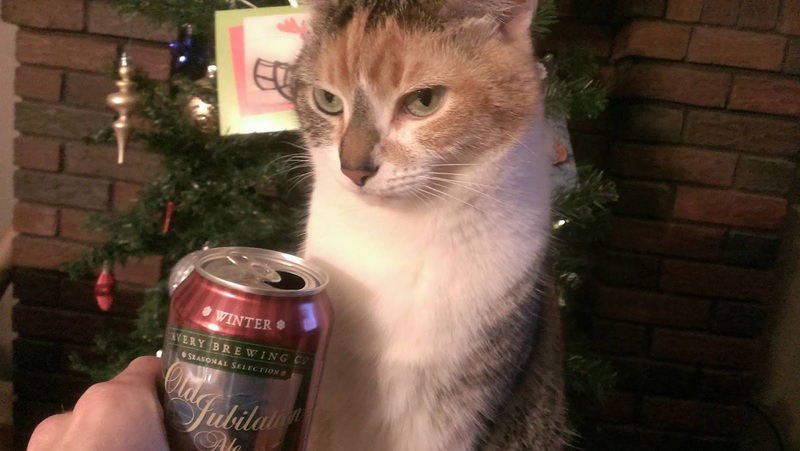 The official page for Old Jubilation Ale touts that the brew doesn't incorporate any of the spiciness typically associated with holiday brews. This makes me excited for the brew, solely because the last spiceless holiday brew I had was so good. That page lists the ABV (8.3%) and states that the winter strong ale's five variety of malts give it hazelnut notes with a toffee/mocha finish. Old Jubilation Ale smell like an solid ale--absolutely no extraneous fluff here. It smells strong, with a slight tang of sweetness. If you have a favorite, no nonsense ale, then, odds are, you can probably guess what this aroma is with a fair degree of accuracy. 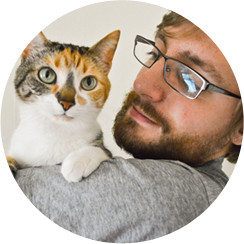 Purrl hates it--one quick whiff and she was done. In terms of Old Jubilation's flavor, I get the hazelnut as a post-aftertaste. I find it creeping around in my mouth a minute or two after taking a swig. First and foremost, however, I find sweetness. It's akin to sweet tea. There is toffee/mocha to be found in the ale's finish, so good on Avery Brewing for nailing that one. The really cool thing about this ale is that, although it has a high ABV, it doesn't that tinge of alcohol I've come to expect of a beer of this caliber. Mouthfeel-wise, Old Jubilation is lightly bubbly and full. Top marks for an ale--it feels like it should. A year ago my fiancee and I had the apartment to ourselves for the night (our other roommate at the time was out). I felt it'd be the perfect opportunity to lounge in front of the fire. The problem here was that we didn't have a working fireplace. So, I did the next best thing: turned out the lights and pulled up a fireplace video on YouTube. I played some Joe Purdy from my iTunes, poured myself a few fingers of (really bad) whiskey, and whiled away the evening with my fiancee in the most relaxing/romantic style I could improvise. Old Jubilation Ale allows me to recollect that calm, warm evening. Having never heard of Avery Brewing Company before, I didn't know what to expect from Old Jubilation Ale. However, now that I've tried the brew, it's safe to say that I'm excited to try more of the brewery's offerings. Although it's sweeter than I had anticipated, Old Jubilation nets a solid 8.5/10 from me. Give it a shot if your feeling up to it!